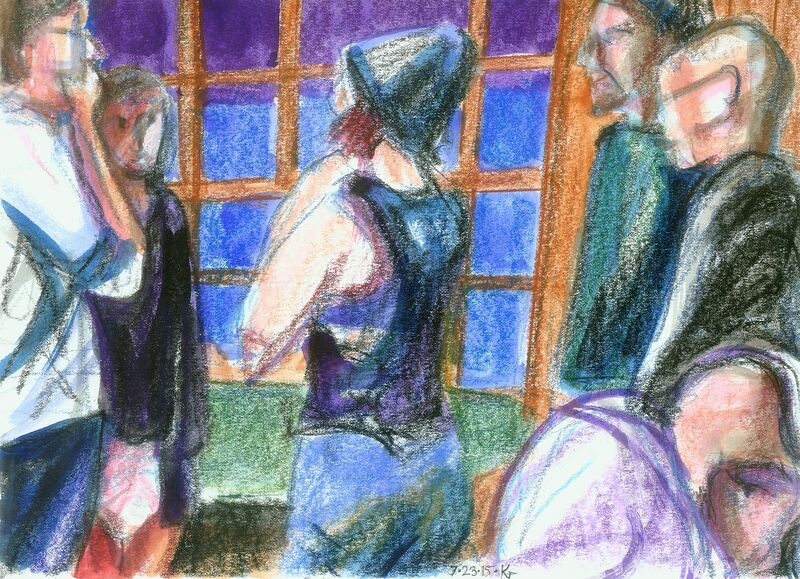 Long ago as an art student I made a small series of awkward paintings of awkward snapshots at family events. My latest trove of reunion snapshots made me want to pick it up again. Maybe I will, someday. Vermina does not approve of this drawing activity. She would like to sit on the paper, drink the brush-cleaning water and chew on the brushes. No, she will not be moved, thankyou very much.